We have many years experience in carpet cleaning, from general carpet cleaning to stain and odor removal. We use a wide range of cleaning products to tackle the heaviest soiling and smells, leaving your carpets, ultra clean and with a pleasant fragrance. Inspection of the carpet to attain fiber type and identify stains and marks. Test the chemicals we intend using on a small inconspicuous area to see if they are suitable. 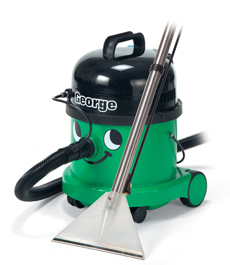 Vacuum the carpet to remove dry loose dirt which is easier to remove than when damp. Stain treatment, spray onto the stain or mark using the appropriate chemical to tackle the stain. Extraction, to rinse the carpet and remove all the dirt which has been dissolved, leaving your carpet ultra clean and with a pleasant fragrance, and dry in just a few hours.